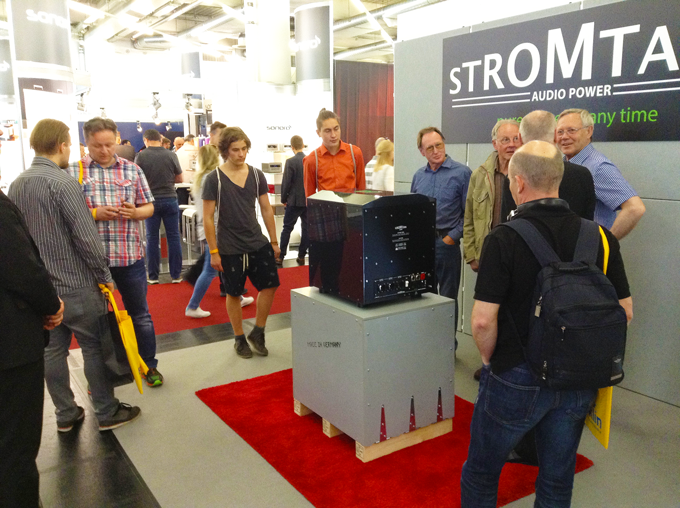 Presenting the “Stromtank S 5000” for the first time in Europe at the High End audio show in Munich, Germany. 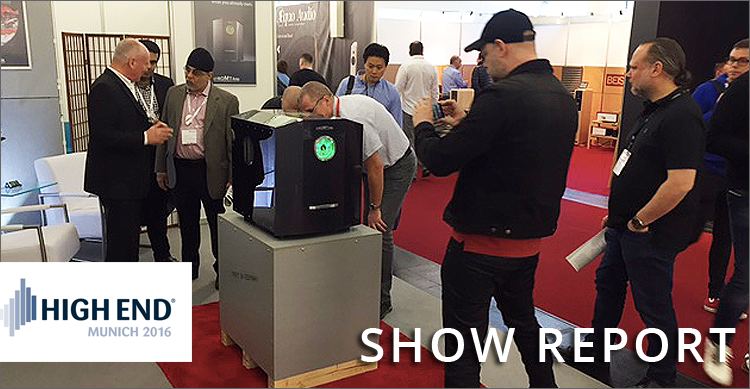 After sleepless nights engineering and manufacturing our flagship product, it is time to show our masterpiece live. Everything is prepared – let’s start the show! 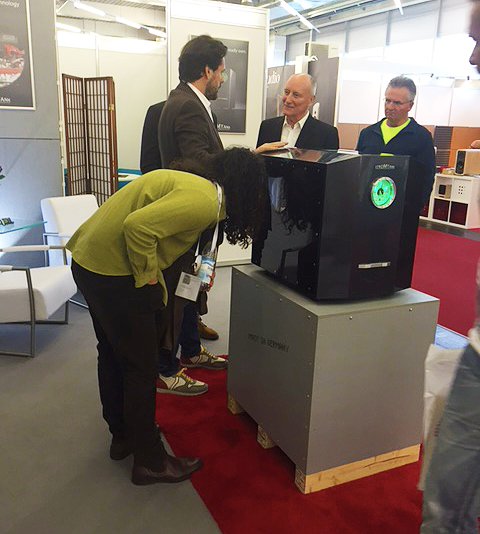 We are proud of the interest of all enthusiastic “High-Enders” coming to see our Stromtank! Chief-engineer Wolfgang Meletzky explains technical details and technology behind the Stromtank to interested “High-Enders” from all over the world. 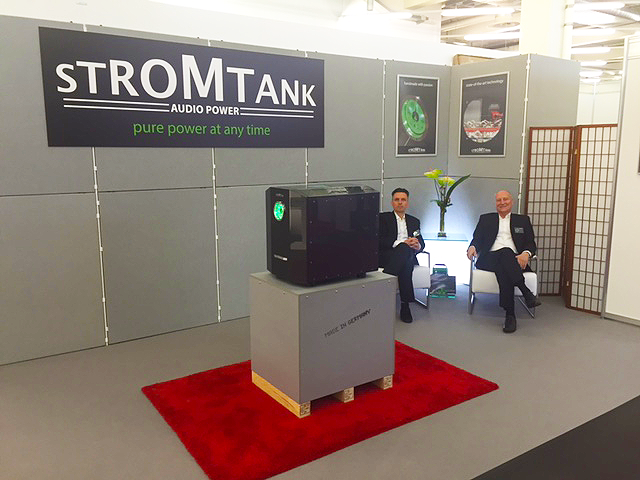 Our Stromtank was the star of the show! Our Stromtank is hot: amazingly designed and making you fall in love with music all over again. 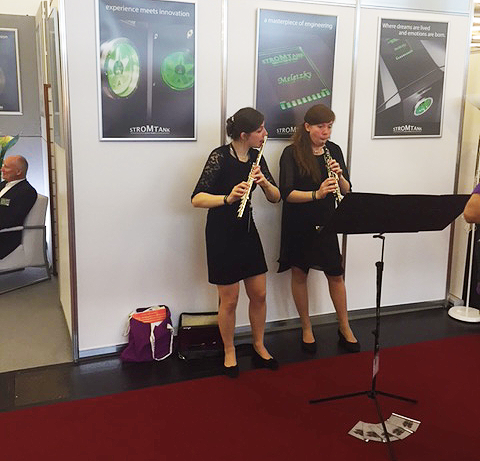 Stromtank: just pure – preferred for live performances. 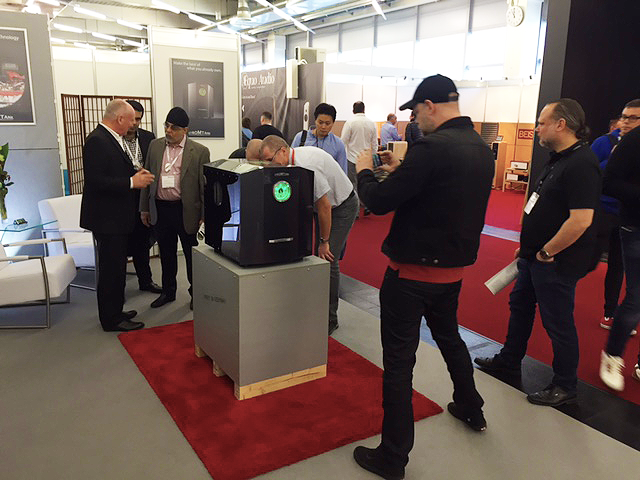 We are happy we’ve met so many audiophiles and hifi enthusiasts at the High End 2016 audio show in Munich. Thank you very much for your interest! You are the inspiration we need for our work. We hope to see you soon at the upcoming shows! Many interested visitors get a close look at our Stromtank. German engineering at its finest and a milestone in the hifi industry. A high sophisticated, independent power source including Lithium-iron-phosphate-cells (LiFePo4) and an integrated pure sign wave converter. Manufactured with best components available. Visitors had the chance to have a look inside the spectacularly designed Stromtank.